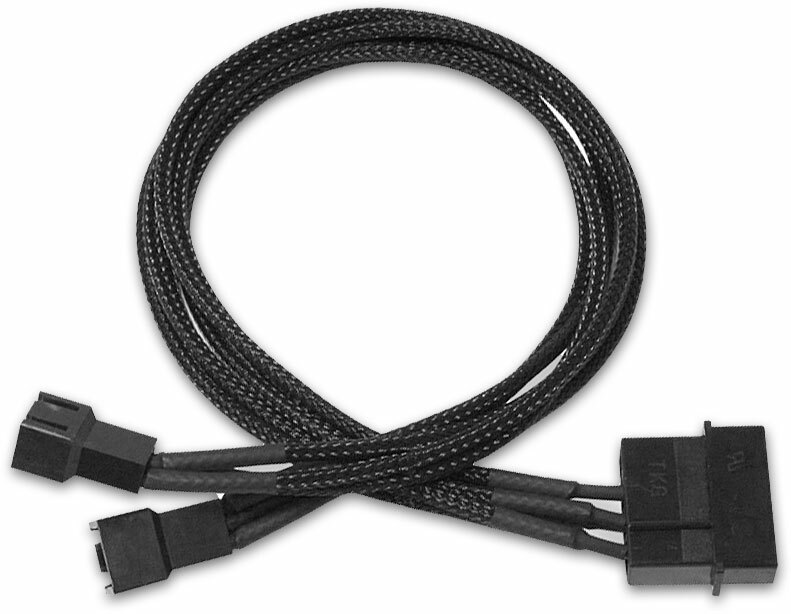 This 4-Pin Molex to 2 x 3-Pin adaptor cable originates from the Nanoxia sleeved cable series. The cable is 30cm long and the individual wires are covered with black nylon braided sleeves. Not all motherboards have enough fan headers to power all the fans in a PC case and this is especially true of larger PC cases that can accommodate many fans. This type of PSU adaptor cable can be used to supply power to two 3-pin fans from the PSU.